When I was a Mum of young children the internet hadn't been invented so I never got to be a Mommy Blogger, I'm a fairly ordinary cook so I never got to be a Food Blogger, I'm the Anticraft so I never got to be a DIY Blogger, and I am no clothes horse so I never got to be a Fashion Blogger. But! One thing I am excellent at is being a Midlifer - I am learning so much, experiencing so many new things, and growing heaps now that I've hit my Fabulous Fifties - why not blog about it? So, a couple of years I jumped in feet first and became a Midlife Blogger - and what a ride it has been. Who'd have thought that Midlife would be a time to start writing? Well, let me tell you something! There are dozens and dozens - probably hundreds and hundreds of Midlifers out there blogging their little hearts out. We have Facebook groups, dedicated Webpages, blogging conventions and so much more. We haven't missed the blogging boat - we've jumped in, grabbed a paddle and are at it with gusto! Sometimes I wonder when I'm going to run out of things to say. It hasn't happened yet - and when a slow point comes along inspiration isn't far behind. Even the A to Z Challenge lends itself to inspiration and a chance to connect with new people and read new blogs. So many friendships waiting to be discovered. 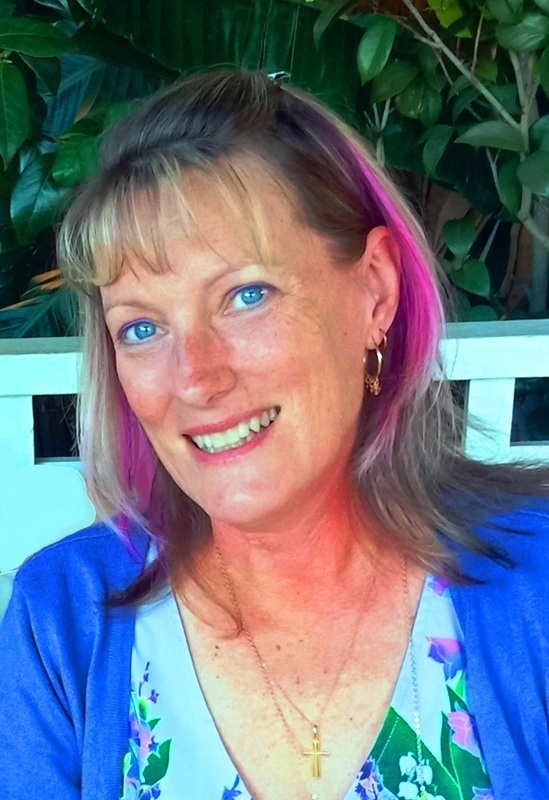 So much still left to write about - Midlife Blogging is so much better than I ever expected. 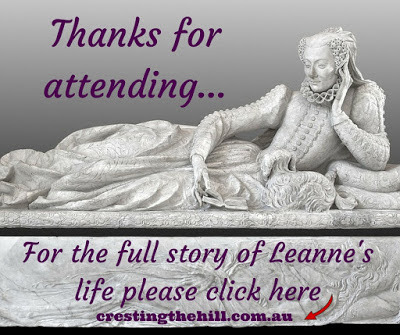 My husband tells me that he won't need to write my funeral eulogy - he'll just hand out fliers with a link to my blog and let people find out all about me by reading the hundreds of posts I've written over the years - sounds good to me! Perhaps this is what will be handed out at my funeral? Or sent to everyone's smart phones? If you'd like to read more about Midlife and Blogging you can go HERE or HERE. See you tomorrow for C - which is for Crazy Cat People. Funny, but I just did exactly the same thing, Pip. 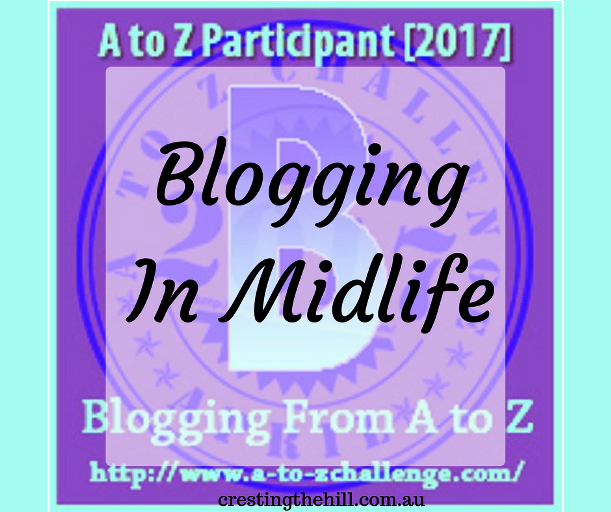 Maybe some of us midlife Aussie bloggers are a bit slow on the uptake! Not just the Aussies. :-) This South African was also slow on the uptake. My excuse is it's early in the morning and most of my brain cells are still lying dormant! Hahaha, I had to read it a couple of times too before I got the B.
I'll be 40 in Jan, and I am so excited to start my decade towards 50 - the MAGIC number! I hope I continue blogging till then, and beyond that! New beginnings are always challenging... but glad you took the leap . I love that women of Midlife are taking the leap of faith and making their voices heard. We might not think we have anything to say but we sure do. Looking forward to 'C'. Your hubby's comment made me laugh! He might be right, though. Such a precious collection of thoughts and emotions in every post. I didn't get to be a Mommy (as in Baby) Blogger, too. My baby wouldn't sleep in his crib, I needed to take him for hour-long stroller walks, so by the time we made it back it was time for F&B, diapers, the works. I started when he was 4, so I still call myself "part-time working mom" and I'll actually change it into "part-time working hockey mom" as soon as A-Z is over, and hockey summer training starts! This is very true. We should always be proud of the qualities we have. And I am sure each one of us has been given a distinguish quality to cherish. Happy Blogging! Cheers to being a mid life blogger. I think your husband's comment is amazing - your blog is the window into your world isn't it? I can't wait for C - I'm also a crazy cat person. My blog is a thematic one (about one of my hobbies: snail mail), but I do enjoy reading some blogs just about "life", if you know what I mean. Your post made me smile as I can relate so well to it. I'm glad to be a midlife blogger too. It's never too late to start writing in my opinion. It's great to see anyone enjoying it so much. I look forward to hearing some of your insights this A to Z challenge. And yet you're writing such beautiful posts! Reading you fifties sound fabulous!! Amen to blogging in midlife. I'm a "midlifer," too, and I completely understand. I've stumbled upon a unique little online community of similar age women and the experience has been wonderful. I loved this! In my own life, I have found that outside of several close friends, our children/grandchildren absorb most of the family oxygen and I don't have much opportunity to make new friends "in person." The blogging world has taken care of that problem for me and I am so happy with the people I've met and new things I've learned this way! How inspiring to read your views on mid-life. Here I am in my forties and so regretful of lost chances with time gone by swiftly. Blogging has proven to be cathartic for me. I love your spirit. Encouraging blog this. Thank you! Ha ha...loved your husband's quip. Must share it with mine. He'll be in agreement too. Hahaha, love your intro there. I'm none of those things either, but rapidly approaching mid-life, so maybe that'll be my thing? Grandkids were visiting over the weekend so I am catching up today and read your A and B posts. Wonderful! When I returned to school at age 50, friends and family often asked, "Why a degree in film?" so I started a blog. It felt easier to refer them to the website rather than keep repeating myself. Initially it was about what I was up to... projects, studies... but similar to my life, it evolved over the years, and continues to do so. Hurray for middle life bloggers! I love your blog and find it very inspiring. I love your husband's idea, what a great suggestion, would he consider franchising it? Fun post, I reckon you have found your perfect niche. These mid-life quips are fun read. Coming back for more. I love this post. And I love your spirit. I'm glad you're learning new things. One doesn't need blogging labels sometimes it's nice to simply be a blogger. Glad I found you. Will be dropping by more often for sure. Great post. Love hearing about your midlife journey. Haha love your hubby's comment :-) . I totally would have been a mummy blogger if it had been around back then! Never mind we can make up for lost time and show the young 'uns how it's done!!! I agree! Blogging in Mid-Life is truly amazing! I had no idea what lay ahead when I began. Meeting so many other Mid-Life bloggers has been the biggest perk of all.